According to in-court reports from CNET, the jury is comprised of a relatively young and diverse set of people — half are white — with varied backgrounds. Only two jurors are retirees, and both continued work in their respective fields after retirement. The report points out that while the jury pool included a number of people with engineering degrees or technical expertise, only one was selected to serve on the final group of nine. That person was previously employed by the Defense Department in an unreported position and currently works in the field of metrology, calibrating equipment to measure radiation levels. Three of the nine jurors are women and include a consultant who specializes in compliance with the Clean Water Act, an accountant and a retired nurse, the report said. The nurse told presiding Judge Gonzalo P. Curiel that she saw headlines about the case, but did not read the accompanying articles. Another juror is a former pitcher for the Kansas City Royals who now works as an air traffic controller. Filling out the roster are a pilot, a retired clinical psychologist, an MBA in retail sales management and a man whose occupation is unknown. The report did not detail the ninth juror. Curiel is not allowing live coverage of the trial, and sparked a bit of controversy when he told reporters that Twitter is considered a form of broadcasting. As such, tweets from inside the courtroom are not permitted during the proceedings. The San Diego case, filed by Apple more than two years ago, is the genesis of a global struggle over licensing practices and patents. In its complaint, Apple claims Qualcomm withheld some $ 1 billion in refund payments in retaliation for Apple’s participation in governmental regulatory probes. The tech giant also claims Qualcomm abuses its monopoly power over the chip market to inflate licensing fees. Apple manufacturing partners operating under Qualcomm contract licenses joined the suit and seek $ 9 billion for what they allege are overpaid royalties. 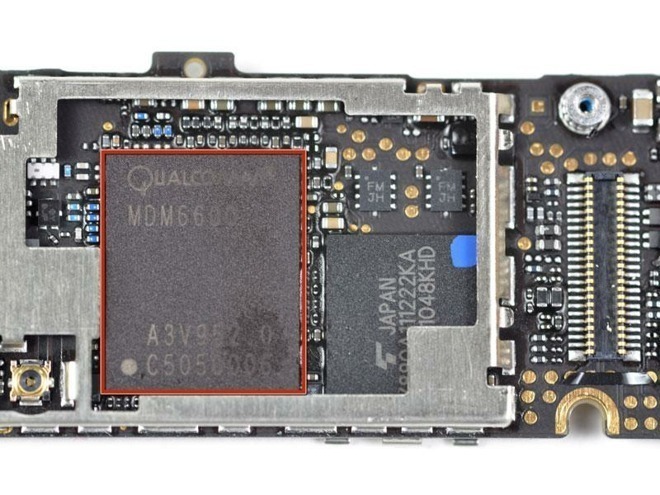 For its part, Qualcomm denies Apple’s claims and argues it should be paid for its technologies, which go beyond wireless modems and related silicon. Apple and Qualcomm will present opening arguments on Tuesday, and Apple is slated to call its VP of procurement Tony Blevins to the stand for testimony.